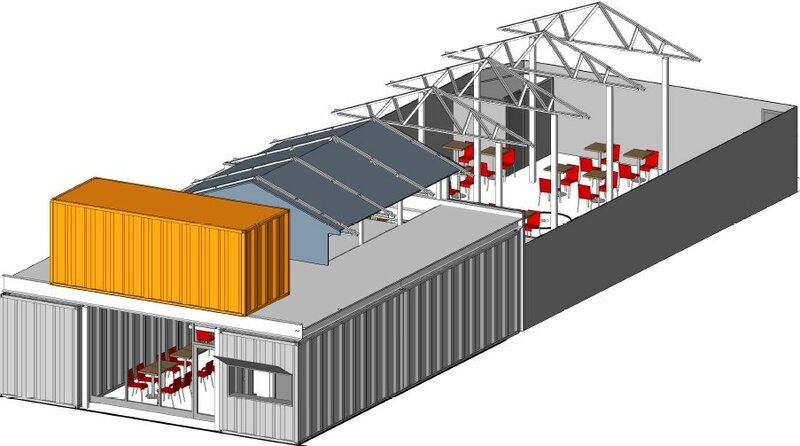 The Hilton brothers restaurant development team — which has created The Gibson, Marvin, and American Ice Company — has proposed to open a restaurant built out of shipping containers at 919 U Street, NW. (The Georgetowner has reported that the restaurant will be a taqueria called El Ray.) The restaurant would have a takeout window on U Street and an outdoor seating area. The front elevation would consist of a combination of corrugated shipping containers flanking a recessed aluminum and glass storefront system with glass entry door, and open take-out window with an angled metal canopy. The design calls for the first floor to be topped by a shipping container with a centered internally illuminated sign. The remainder of the site would consist of an open summer garden enclosed by a 7-0’ wood fence and topped by a partially covered metal truss roof system. Apparently (according the HPRB staff report) the "use of shipping containers for temporary retail and arts uses is an increasingly popular option for activating vacant urban sites." 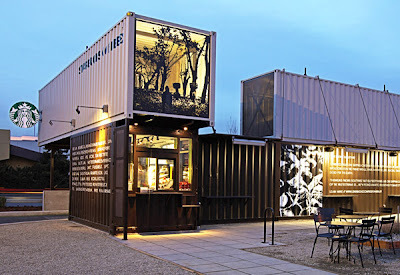 In fact, a Starbucks comprised of shipping containers recently opened in Washington State — check out the image below. The shipping container structure would be temporary, pending future redevelopment of the site. View the developer's submission (including a recent photo of the site, the developer's floor plans, the U Street facade elevation, and an axonometric view of the proposal), along with the HPRB staff report, after the jump. Dear Anonymous: please move further east where your negativity will be more "at home"
We'd rather not have that negativity further east either, thanks! dude everything is contrived. you have to get the plan approved by the city. not really a lot of room to be spontaneous. and besides, i think this looks badass. i just hope the food is good. @Anonymous Please do let us know when you will be opening your temporary restaurant on a brownfield site. I'm certain the line will wrap around the block.